Welcome to Monster School. Hope you survive your first class! To celebrate the publication of my new novel, Monster School, I’ll be touring some wonderful author and writing blogs. There will be tonnes of insights into the writing process with topics ranging from world building to creating monstrous characters. I’ll happily answer any posted questions (such as, ‘What’s it like sitting at the desk next to a giant spider called Bruce?’). And yes, there will be laughter – and giveaways! 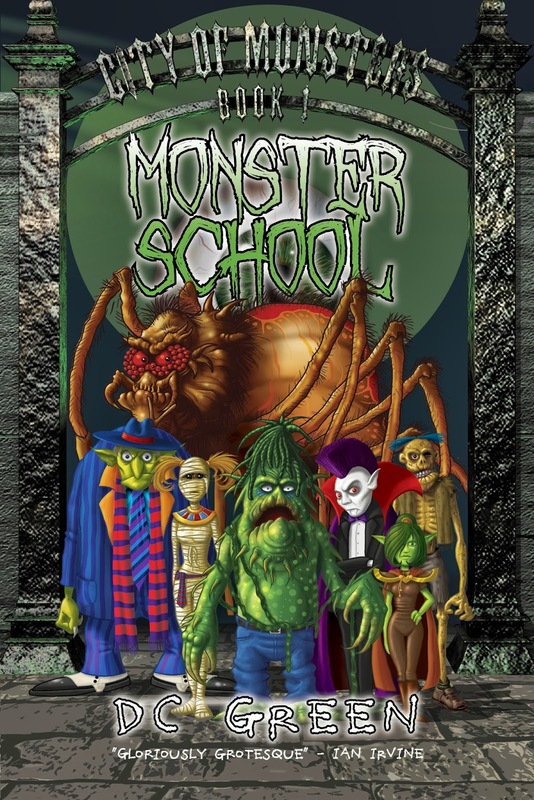 I’m stoked to announce the publication of my new children’s novel: Monster School! 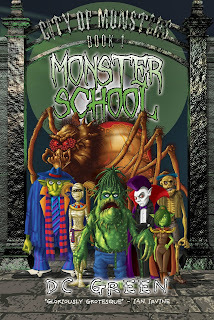 Even before publication, Monster School has received great reviews and won two awards. The book is fast, funny and a little bit frightening and has been described as ‘like Hogwarts for mummies, ogres, bunyips and dragons’. 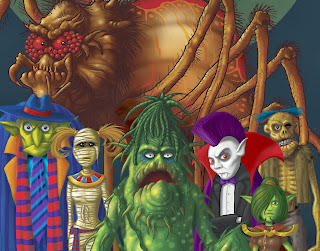 For ages ten and up, Monster School is the first book of the City of Monster series. Copies will be in Oz & NZ bookstores from October 1. Online orders are available now! I’ll be giving away free signed books to random fans who share this information, post reviews or even just like my book(s) on Goodreads. Yay! Yes, I have links, so many links….